Last Spring, I briefly went back to the HCG diet to drop some unwanted pounds. A month later, I got sick of it and re-joined the Y so I could reunite with my “soulmate” workout, Turbo Kick. But I still wasn’t seeing the results I wanted. On a whim, while watching another “Sun in the sky…” Jennifer Hudson commercial for Weight Watchers (WW), I decided to take the plunge. I started taking Turbo Kick classes in 2008 at a local YMCA and fell in love with it. It’s a combo of TaeBo-style moves and hip hop dances and other cardio stuff. I ended my Y membership 2 years later and relocated, but I didn’t get back into an exercise routine. Yet I always thought about the class and how motivating and fun it was–I was exercising but it didn’t always feel like it (like a chore). I’m even considering going to a training next month for their PRO certification. I’ve even noticed in the last few weeks that when I am doing our punches and kicks from the side, I see myself in the mirror at an angle that shows how much junk I’ve lost in the trunk! But I know it’s not all just from the air-jabbing I’ve been doing. In spite of Turbo Kick twice a week and sporadic weight training sessions, I wasn’t seeing results like I had hoped. The reason? I didn’t understand that most of your weight loss/maintenance efforts come from good nutrition. Turbo Kick creator Chalene Johnson mentions in her book Push that weight loss and weight maintenance consists of about 80% nutrition and 20% physical fitness. Not only that, but the areas you want reduce fat and tone will probably be the ones you will see your results in last. (Case in point: I always seem to lose weight in my face, neck and breasts first, even though most my weight I want to lose is below the belt.) So the thoughts I used to have about eating anything at restaurants because I can “work it off later” were erroneous. 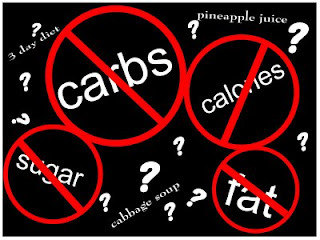 Limiting processed foods–even the “Smart Ones” offered by WW–will help me tremendously. David Kirchoff, CEO of WW says, “We live in an obesogenic* environment that wants us to sit more.’ And studies show that the more we sit, the earlier we’re likely to die. So I’ve bumped up my activity level to 4-5X week, which consists of doing more than just Turbo Kick (although 2 hours of Turbo Kick a week is nothing near sedentary). 2) Prepping foods in advance for the week by boiling/chopping etc., so when I feel lazy later, I can grab something quick, heat and it eat it without a lot of fuss. 3) Checking recipes and making them a bit “skinnier” by substituting one or two ingredients that don’t compromise the flavor of the dish. Bonus: If I worked outside the home, I’d prepare enough of an entree to take to work with me the next day. There’s nothing wrong with leftovers! I’ve always had a little waist, but my waist-to-hip ratio hasn’t met the BMI standard in quite some time. I’ve questioned the validity of BMI before on this blog and in my book, but the issue came up again when I joined WW in June. They want you to stay under a 26 BMI (body mass index), but for me, that’s unrealistic. According to my internist, I can still be healthy at a 26 BMI because there are other factors to consider besides gender, height and weight when assessing obesity. I am not overweight except by the standards of this chart, and so I consulted my internist. She concurred that Black women have other factors going on that make the BMI a less-than-perfect gauge of health, and gave me documentation saying it was ok for me to maintain a weight that yields a BMI of 26. I have a goal to lose a good amount of weight by February 2013 that will take me to a BMI of 26, although WW recommends the range of 19-25. I started the program 16 weeks ago and have lost 13 pounds so far. The last piece of the puzzle for me is an initiative going on now at my church called 40 Days of Health (#40DaysHealthier) and I’ve decided to take on additional challenge of getting to bed on weeknights before 11 pm (my usual bedtime is midnight or later). Being well-rested not only helps weight loss, but so many other things I need to be healthy for my daughter and myself. 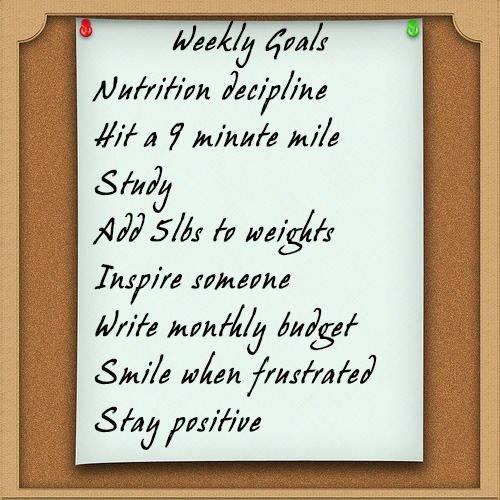 Do you have any health goals as we draw near to the end of 2012? What have you been putting off that needs to change? Think of just *one* thing you can do differently (fitness or nutrition related) and resolve to start today.